The legislative session is underway and nearly two thousand bills have been submitted. Below is a list of bills of interest. Delegate Hugo will be submitting a grievance bill for us that will attempt to make the final step of the grievance process uniform across the state. This bill will require the three person panel and will eliminate jurisdiction appointed panel members. We will add that bill to our list once it is assigned a number. Attempts are also being made to get Senator Wexton from Loudoun to put this bill in on the Senate side. The Board of Directors is discussing support for HB 802 which increases the penalty for eluding police.Updates will follow on this bill and our support.
" For the purposes of this chapter, "law-enforcement officer" shall not include an employee of the sheriff's department of any city or county who has the authority to hire, suspend, lay off, promote, discharge, award, or discipline other law-enforcement officers within the sheriff's department if such authority requires the use of independent judgment." If passed, this definition will cause procedural guarantee protection to apply to deputies in Virginia and would give the deputies a level of job security they now do not have. I am quite sure that every attempt to kill this bill will be made by the Sheriffs Association. During my discussions with the Sheriffs Association lobbyist in the past I was told that the Sheriffs Association will never support procedural guarantee for the deputies. It was made clear to me that no discussion on the topic would ever take place and that there is no compromise or middle ground on the issue. I am not aware of any change in position but I will contact the Sheriffs Association representative in the near future to confirm their stance. We will support the bill and lobby for passage of HB 1287. 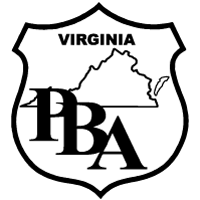 I encourage you to personally contact your legislator and advise them how important it is to Virginia Law Enforcement to pass this bill. Once the bill is assigned to committee and the committees are established we will ask for member involvement in contacting key legislators, more to follow soon. We are also looking into two bills, Hb 472 and hb 1245 which deal with certain cancer presumptions. I will be having a discussion with lobbyists for the fire fighters to see if these bills may, at some point, be applied to law enforcement. We do not want to harm the bills chances for passage and will report back on our discussions. Feel free to contact me if you see other bills we should be following or if you have comments on any of the bills submitted at this point.